Welcome to Healthy Natural Hair Products. I’m Abi. In 2009, after a traumatizing retouch at a salon, I decided I’d had enough of relaxers. Three days later, I looked up the phrase, “what happens if I stop applying relaxers.” I stumbled on a forum full of natural haired women and became fascinated. Up until that moment, it never occurred to me that I could just grow out my own natural hair even though I hated relaxers so much because I’d never seen anyone with natural hair around me. Back then, big chopping was a popular option but I was a bit alarmed at cutting off all my hair so I decided to transition instead. 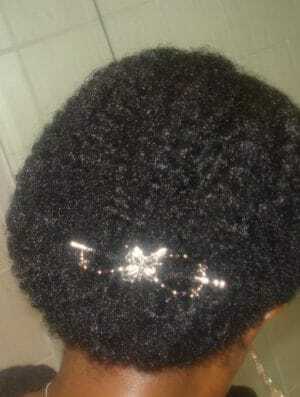 It wasn’t an easy process but I kept at it until 2011 when I finally cut off the relaxed ends. While it was awesome to see my natural hair, I had no idea what to do with it and wore buns and braids a lot of the time. After a bout of hair loss in 2012 followed by a long road to recovery, I launched my first site and wrote How to Grow Hair Healthy and Long with Natural Oils. As I’ve carried out substantial research, learnt more about my hair, great and natural hair products as well as best hair care practices over the years, my hair has thrived. I’ve become semi great at creating hair styles or just wearing a wash and go. YouTube has also helped a lot! I also wrote two more books, The Ultimate Hair Growth Guide: Recover from Hair Loss. Regrow Bald Spots. Fill in Thin Areas and Tea Rinsing Secrets for Healthy Hair Growth. I also launched a course for business minded naturalistas – Create, Launch and Grow Your Online Presence: An A – Z Blueprint for Turning Your Passion into Viable Income. If you’ve always wanted to start your own blog, check out the course and how you can get access to one on one coaching with me HERE. My first website was focused on all things oil for hair, health, beauty and fitness while this site was created specifically to cater to natural hair, share my knowledge and experiences and help women thinking of going natural or already natural. I hope to inspire, educate and empower. Please note I’m not a natural hair nazi. I understand and support every woman’s right to do whatever she wishes to the hair growing out of her head. 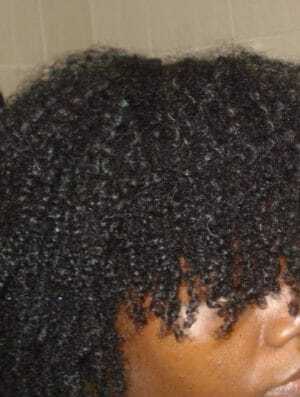 In fact, relaxed hair ladies are welcome if the information available on the site speaks to their hair care needs. A few things on the horizon for Healthy Natural Hair Products includes a forum, a natural t-shirt line, and more books. I also write humorous fiction under a different pen name. Follow me on Pinterest, Twitter, YouTube, and Instagram. We also have a helpful and interactive Facebook group HERE. You can also subscribe to my mailing list for regular updates, offers access to the growing free resource library and exclusive discounts on all the books and products in the Healthy Hair Care Series line. Join the mailing list HERE. Thanks for visiting and welcome on board!